My creative nature and passion for plants goes back as far as I can recall. As a young girl, I can remember picking wild flowers to make everything from necklaces and bracelets to flower arrangements for my mother. It wasn’t until college that I discovered the field of landscape architecture. When I realized that a component of this profession involved designing landscapes with plants I knew this profession was for me. 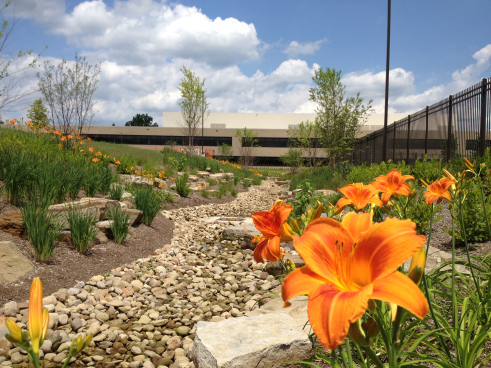 When I started working in the field of landscape architecture, my passion for perennials blossomed. Thinking beyond the plant’s needs, I take into consideration the texture and color the leaves provide as well. Typically, the flowers only last a week and the foliage lasts the entire growing season. The foliage then becomes an important aspect of the plant. 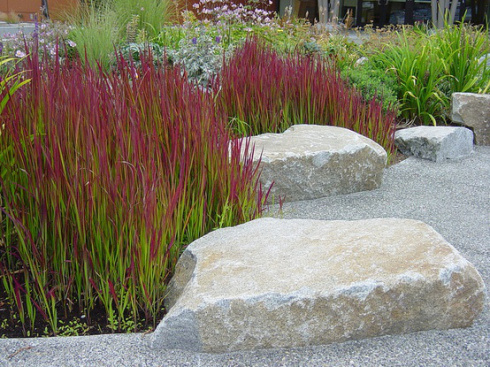 For winter interest, I like to incorporate boulders and rock into the design and plants that hold their leaves like ornamental grasses. Perennials when planted in large drifts or masses have a greater impact or ‘WOW’ factor in the garden. It’s also a great idea to plant companion plants together like daylilies and daffodil bulbs, or even hostas or ferns with allium bulbs. This allows for a planting area to have early spring and summer blooms, extending the season of interest in the garden. Over the years, I have developed a planting pallet of perennials that are hardier than most. Here is a list of my top ten favorites that are weather hearty, but still beautiful throughout the growing season. 1. Catmint (Nepeta) This is a showy mint relative with fragrant gray-green foliage and spikes of bright lavender flowers. These plants range in height from 12-24 inches and flower from April until November. One of my favorite cultivars is Walker’s Low which works well in massing and as a neat border plant. This is a great plant for pollinators. 2. Daylilies (Hemerocallis) are a favorite because they are versatile. They range in height from 18-inches to 3-feet and bloom July through August. 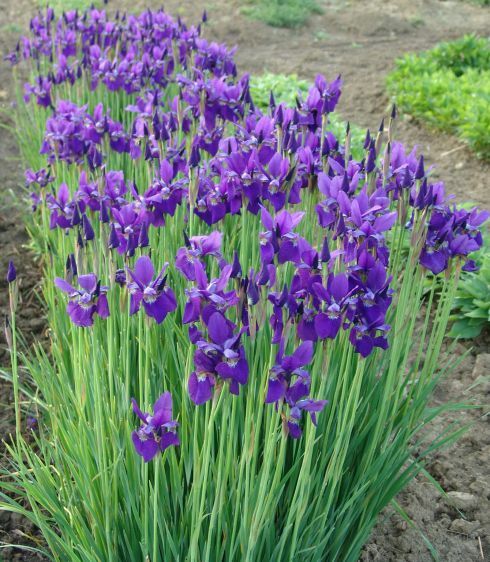 They can be planted in sun or shade and can tolerate wet and dry soils. They are pretty much bullet proof. Two of my favorites are Rocket City and Persian Market. Rocket City has an Orange 6-inch bloom, 18-24 inches tall and it attracts humming birds and butterflies. Persian Market has a 7-inch bloom and is 27-inches tall, plus it is a rebloomer and is fragrant. 3. 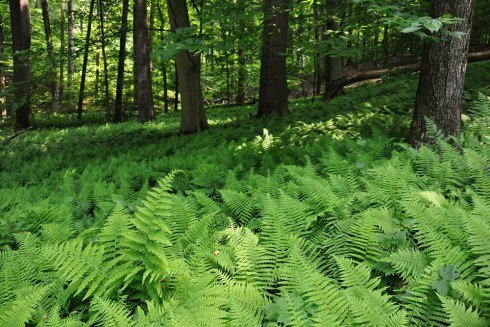 Fern Hay-Scented (Dennstaedtia punctiloba) typically are shade loving, but this fern is a favorite because it tolerates wide variations in sun moisture and soils. It also is a nice texture contrast when planted with course leaved hostas. 4. Hardy Hibiscus (Hibiscus moscheutos) grow to about 3-feet in height and have giant plate size flowers. They break dormancy late but are worth the wait, they have a long bloom time from August through September. These beauties like wet areas and can be planted at the edge of a pond up to 6-inches of water depth. 5. Hostas (Hosta) range in size from a petit 10-inches to a huge 48-inches. These beauties add course texture, color, and fragrance to the garden. The only drawback is that deer find them to be tasty. 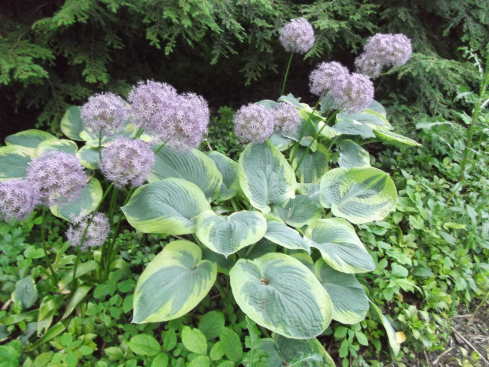 I discovered that if I plant Allium bulbs with my hostas the deer tend to leave the hostas alone. Allium are in the onion family and I speculate the onion scent is a turn off to the deer. 6. Peony (Paeonia) are beautiful flowers that love the sun and bloom in May. They are known as the “Queen of Flowers” in the gardening world. 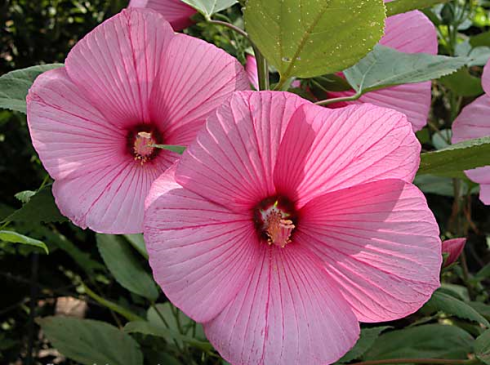 They are deer resistant and have large blooms and are available in shades of red, pink, and white. 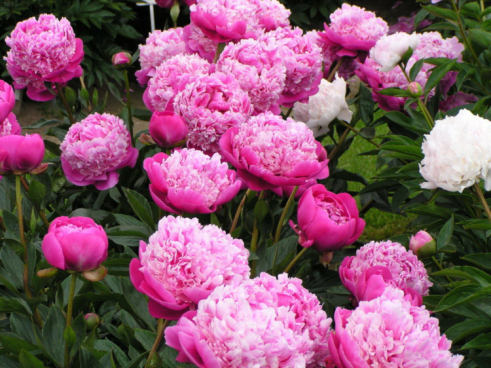 Peonies have been known to live for a hundred years. I have a plant in my garden that is over 60 years old that came from my grandmother’s garden. 7. 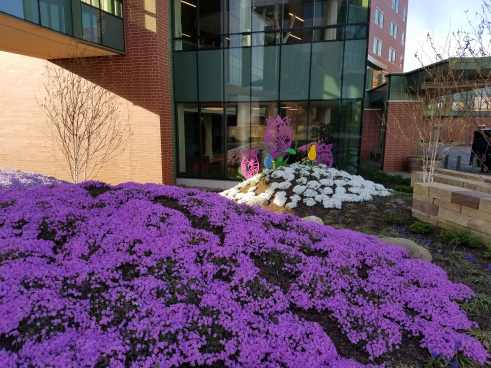 Creeping Phlox (Phlox subulata) also called moss phlox are 6-9 inches in height and bloom in early spring. This plant has evergreen foliage and makes a great groundcover in a location that gets a lot of sun and has sandy soil. 8. Siberian Iris (Iris siberica) is a spring flowering beauty that ranges in height from 28-40 inches and varieties come in whites, pinks, and purples. This plant can tolerate growing in 1-inch of water and likes full sun. 9. 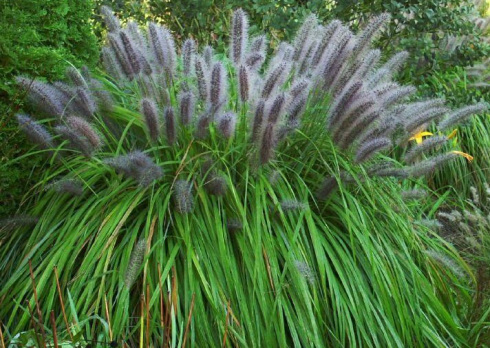 Fountain Grass Moudry Black (Pennisetum alopecuroides ‘Moudry’) is ornamental grass that prefers full sun and is known for its graceful foliage and brown foxtail seed heads. This plants blooms in early September and the seed heads and foliage can be left to turn golden and rustle in the winter wind providing winter interest as well. 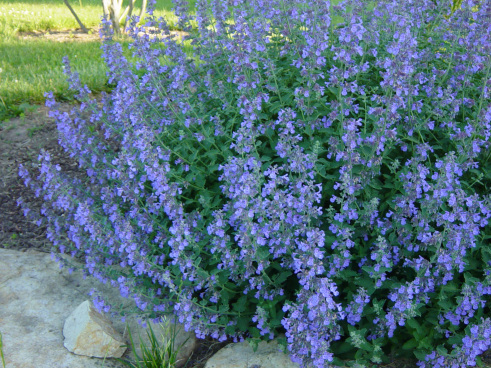 This plant is drought tolerant as is a great choice for xeriscaping. 10. Japanese Blood Grass (Imperata cylindrica Red Baron) This ornamental grass grows 12-18 inches in height and prefers sun but will tolerate partial shade. Blades of this grass are green at the base and blood red from mid-blade to the top, with the color becoming more intense in the fall.